A classic science center exhibit involves a lightweight ball or balloon trapped in a fast-flowing stream of air to demonstrate (ostensibly) the Bernoulli effect. However most fans or blowers are loud, and involve blades that don't respond well to pencils, visitor's fingers, and other foreign objects. 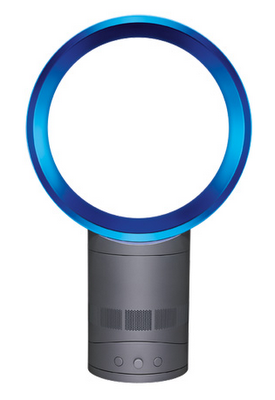 While the Dyson Air Multiplier looks to be a little pricey (when it becomes available!) at $329.00 for the 12" model, and $299.00 for the 10" model, I still can't wait to get my hands on one to experiment with ways to create new airflow exhibits for visitors! Are there some other types of new technology on the horizon that you think might work well for exhibits? Let us know in the comments section below.